This gorgeous single story home is perfectly set on a premium greenbelt lot. The home features an open concept floor plan, high ceilings, split bedrooms and over $27k in upgrades. French doors lead into the handsome Study. A trendy chandelier gives the Formal Dining a modern feel. The dream Kitchen offers an abundance of cabinetry, granite counters and stainless appliances. The floor-to-ceiling stone fireplace is the focal point of the Family Room. The true Media Room has surround-sound speakers. The secluded Master has a bowed sitting area and spa-like bath. 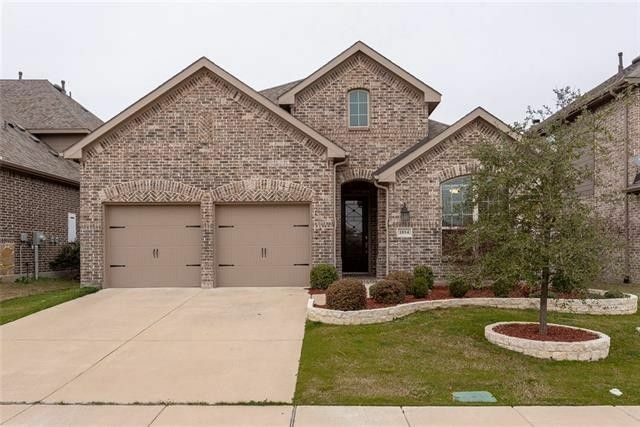 Other amenities: Hardwoods, stacked crown molding, alarm system, covered and open patios, epoxy garage floor, sprinkler system, gutters and so much more! Directions: Hwy 80 to Forney, North on FM-548, Left on Highgate, Right on Finsbury, Home on Left. Exclusions: Wall mounted TVs (mounts stay), curtains.